It is a common practice that after upgrading a mobile phone, many people cast their old phones aside without thinking about mobile recycling. The problem with mobile phones is that they need to be disposed correctly. People also don’t realise that old mobile phones are worth plenty of cash. Recycling old phones is a great way to make money and help the environment. Well,probably many of those including you don’t know how they can recycle their mobile phones so we have decided to guide you all in the right direction. The following article will explain everything you need to know about mobile phone recycling such as, what is it, why and how you should recycle your old phones. So, read on! It seems that almost everyone has a mobile phone these days, particularly as they have now become an integral part of life in modern society. Most mobile phone manufacturers and sellers also offer upgrades on an annual basis meaning that the number of mobile phones in circulation is increasing dramatically. Current figures put the number of mobile phones in circulation at around 95 million in the UK alone with almost 18 million new mobile handsets being bought every year. A cell phone may change many hands a number of times before it reaches the end of its life but when it does, what happens to it? These days, it is no longer legal to deposit mobile phone in landfill sites, therefore, you can’t just throw it out along with your household waste. Mobile phones have toxic materials, for instance, the LCD touchscreen display and the battery of smartphones can contain some lead, mercury, cadmium, arsenic, beryllium, coltan, selenium, and flame retardants etc. If these components leak out of landfill sites they can contaminate the surrounding land and groundwater. Under recent European legislation, both local authorities and smartphone producers now have a responsibility to dispose of mobile phones in an environmentally friendly way. Consequently, most of them have now signed up with mobile recycling companies that have taken on the task of disposing of mobile phones by recycling. According to current reports on the UK mobile recycling, a whopping 90% of the population have a mobile phone and many people own at least 3 unused mobile handsets. What is Mobile Phone Recycling and Why to Opt for Recycling Companies? In mobile phone manufacturing, lots of chemicals are involved which endangers the environment. Thus, there is a great threat to the environment with every mobile phone manufactured. There are many minerals that are also used in mobile phone manufacturing and the fact is that continuously extracting these minerals exposes the earth to a greater risk. The only solution to reduce the risk to the environment is the recycling of the used mobile phones. The general meaning of the Recycle word is to reuse, so when it comes to mobile recycling, it means the reuse of old mobile phones. Recycling old phones reduces e-waste and helps the environment. Mobile recycling has become very easy and if you wish to recycle your old used phone, you can do it online. There are so many mobile recycling companies out there, which provide a great opportunity for people to sell their old phones at a good price. These websites are usually linked with local bodies and aim to take off all used phones and recycle them in many ways. These sitesguide users through three easy steps to sell their old phones for recycling.When you approach one of the recycling sites, the first thing that you have to do is to decide the make and model that you would like to sell and enter this phone into the search bar or simply choose it from the listed products on the site.The site will provide you with a fair price of your mobile handset. If you agree with that, you can proceed further. The next step is to fill in the details that are necessary to sell the phone. This includes the contact and shipping and payment details. Once the details are sent, you can post your phone to their postal address. And then, they will send you payment after receiving and checking your phone. Thus, with these easy steps, you can easily sell your used phones for recycling at a great price and also help the environment at the same time. One noticeable thing about mobile phone recycling sites is that they also accept non-functional and even broken mobile phones. Perhaps you think that damaged phones are useless and should be thrown in garbage tins, but it is not like that. 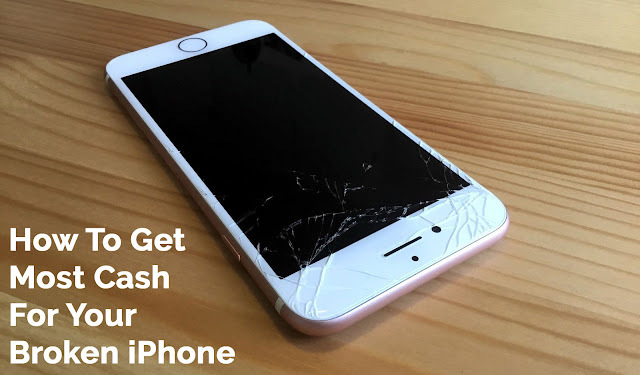 A broken phone has still some worth and can fetch a nice price when you sell it to a recycling site. Furthermore, you are always free to ask any number of questions. As mobile recycling companies provide ample space to clarify all doubt, you can always ask for help or any kind of support related to mobile recycling. Now that is what makes the procedure of mobile phone recycling all the more important and worthwhile. So, What Happens To Your Old or BrokenMobile Phone When You Recycle It? 1. You have many times heard the statement that one man's trash is another man's treasure and this is certainly true where mobile phones are concerned. If your phone is in fully working order and you sell it to a recycling firm, your phone may be sent to third-world countries for reuse. In developing countries, less-fortunate people buy old phones at affordable prices to meet their needs. 2. Another way of recycling is that some old or broken mobile phones are used to extract spare parts so that other phones can be repaired. This helps the environment because if old phones are being fixed, less new phones will be needed and therefore less mobile handsets will be manufactured which means less materials are required and factories are used less. Both materials for the phones and factory use can be harmful to the environment. 3. Apart from this, as you know that mobile phones also contain some valuable metals such as copper, silver, platinum, and gold etc. And throwing mobile phones away without recycling is wasting precious metals. How Can You Get the Most Price For Your Old Phone? There are now a large number of recycling sites you can use in order to sell your old or broken phone for recycling. And with each of them offering different prices and the incentives for using them, it can be a daunting task knowing which one to use. One thing many people are still not realising though is that you can compare mobile phone recycling sites. To get the most money for your old phone, you can simply look for mobile recycling comparison websites. The main purpose of such comparison sites is to offer a fair comparison of recently available prices from top recycling sites so that you can easily get the best deal. Moreover, these sites save you time and hassle because the price comparison is done in just a second. If you want to know how a mobile phone recycling comparison site works, here’s it. When you access a comparison site, all you need to do is to choose your phone from the listed product or enter the make and model number into the search box. The site will come up with a list of best deals offered by leading recycling sites in just a second and you should go for the topmost one. Once you are done with the deal selection, you are redirected to the recycler’s site where you can sell your phone through their process. You don’t need to know all small information about the recycling firms as they have already investigated and agreed with their business partners (comparison companies) they use them for recycling comparison. You just need to look for a reliable comparison site. 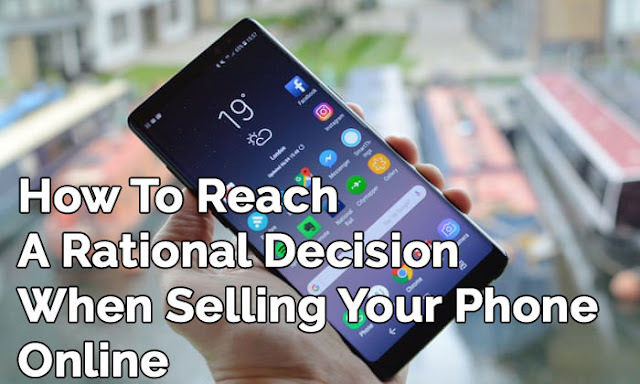 After reading the article, you will agree that it is better to sell your old and broken mobile phones for recycling rather than leaving them into drawers or throwing them away. As more and more people are preferring mobile recycling nowadays, it is best to compare mobile recycling deals to find out the highest price for your phone. By doing this, you will save time and effort, and make the most cash for your mobile at the same time. So, recycle your old or broken phone; it will surely help to save Mother Nature and bring some amount in your pocket as well. Looking for urgent sell old mobile & you can get easy fast cash and best price through Recycle Device website.